Jennefer is a results-driven leader with over 20 years of cross-functional experience, including five years across the channel in programs, enablement, distribution and managed partners. 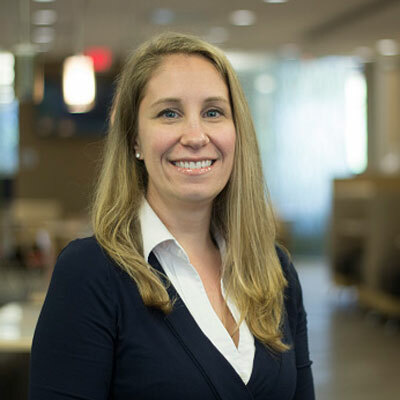 As Sr. Director of Americas Partners, Jennefer is responsible for driving the strategy to grow Citrix's partner business in the US, Canada & LAC. Her responsibilities extend across all channels in Canada and LAC and managed partners in the US. Prior to moving into her new role, Jennefer was responsible for Americas Distribution and territory business for three years and was responsible for channel programs and enablement as well. Last year, the Americas was going through an exciting time. We made the decision to refocus our distribution strategy by rewarding our distributors for value-added activities aligned with our strategic goals. It was an amazing experience to be leading that strategy for North America. There were multiple changes we made, involving many leaders across the company as well as working with our partners and distributors to roll out these changes. We invested in rebates to focus our distributors on our strategies in the mid-market, networking, and cloud, as well as created programs for our resellers to align with our distributors. In North America, we had a sole distributor for almost 10 years, and we decided to expand distribution during this transformation. These changes also led to additional tools, resources and our first joint multi-vendor solution driven by distribution for the channel. Work together with our partners to help them transition their business as a service and deliver the tools and resources needed. We are seeing more of our resellers looking for solutions-based collateral and we are enabling our channel team to support this. Additionally, expand our channels in the emerging regions in the Americas. In 2017, Citrix rolled out a pilot mentorship program for high potential employees. Given it is a new formal program, only a few people globally in the channel organization were selected to participate as mentees. I am honored to have been selected, and value the consideration. Also, this year, two women on my team were awarded for their great achievements in supporting our distribution strategy changes and roll out of our second distributor. Although I personally was not given an award, I am thrilled to see them succeed and it showcases the strong talent that we have on our team. Early on in my career, I worked for an amazing executive, Jean Hoehn Zimmerman, EVP of Sales & Marketing at Chanel. She was a strong supporter of her team and was quick to highlight their accomplishments. She believed that those who did the work, should also present it, giving many young talented people opportunities to present to the executive team. This fostered a family-like culture where people loved coming to work and would do anything for her. These are qualities I admire in a great leader and I hope help others like she did for me. I am fascinated by those who can captivate a large audience. Not just getting up and speaking, but people who are incredible story tellers, have wit and charisma, and can bring that to an audience of hundreds, if not thousands. This is a skill that requires courage, practice, and is a great asset for anyone, regardless of role or industry. I recently read a book that has been out for some time, "Who Moved My Cheese", by Spencer Johnson. It is an interesting read given our changing environment in the IT industry. It highlights that change is inevitable, the need to anticipate change, and be willing to let go of old habits to adapt to new opportunities. These concepts can be applied to any situation.